Estate sales and tag sales are a specialty at The American Auction Company. We offer decades of experience and expertise in helping to generate top-dollar results. 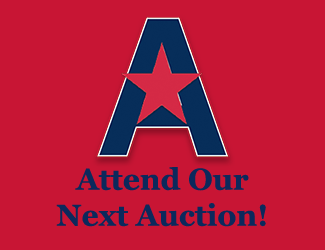 At The American Auction Company, we also understand the added stress and emotions that can come into play, when it is time to part with a loved one’s possessions or down-size after a lifetime of accumulating items. We work closely with our customers and provide the objective, professional perspective to make the entire estate sales process a positive and successful one. When it comes to estate sales and tag sales, come to The American Auction Company. We know how to price, package and present merchandise, in order to get full value for goods. We know how to use traditional and internet marketing to get motivated buyers to our estate sales. We know how to put on an event, to keep people in attendance and involved. We know when and how to apply the right tag discounts to maximize proceeds. When appropriate, we can even add to the customer appeal of the estate by adding consignment items from our sources. If you or someone you know is ready to consider a tag or estate sale in Raleigh-Durham Triangle communities such as Apex, Cary, Morrisville, Holly Springs, Fuquay-Varina, Garner, Clayton, Sanford, Lillington and Pittsboro, The American Auction Company will be happy to be of service. Please provide us with detailed information about the estate in the contact form to the right, or call us at 843-458-4353 or 919-629-7064. The American Auction Company is here to serve you! Please fill out this form, or call us at 843-458-4353 to talk further about your auction, estate sale, consignment or charitable organization's needs.